DayCare Works™ provides a cloud-based Service-as-a-Software (SaaS) flexible solution for your childcare program needs. Whether you are a private childcare facility, franchised childcare centers, montessori schools, preschools, faith-based, public and private schools, DayCare Works™ can scale to help manage your program! Childcare software now provides an online service for both childcare providers/facilities and parents. DayCare Works™ is an innovative way to keep track of daycare activities and keeping the parents involved. Keep track of statements, payment activity, children, caregivers and so much more. DayCare Works™ offers the most comprehensive cloud-based software platform for managing multi-site childcare operations. DayCare Works™ Provider Edition is an innovative, web-based application designed for child care administrators to easily manage the unique complexities of their business. Run your business the way you want and save time using DayCare Works™. Access real-time information across your multiple sites or drill down to the program, site and family levels. DayCare Works™ provides you with a consolidated dashboard to view things like your total number of enrollments, live caregiver to student ratios, attendance and receivables. Integrated billing and state third party subsidy and food program management tools save time and speed up your collections. Assign subsidy payments in one step to multiple families and create invoices for outstanding subsidy payments. Use our automated state specific forms and free up your staff from time intensive paperwork. 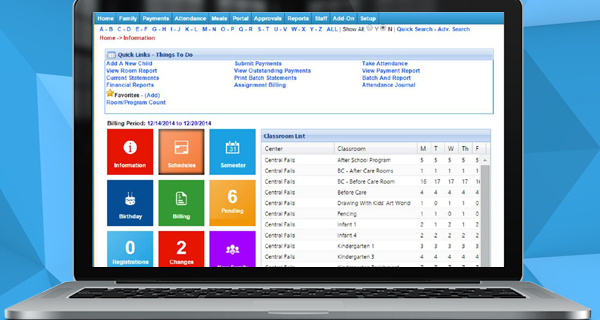 Offer an efficient and effective web portal for teachers and caregivers complete with all of the information they need for their specific room—without the sensitive data they don’t need—to quickly take attendance, track meals, update communications and more. Get more done with less effort. DayCare Works™ is designed with your workflow in mind. Manage your day-to-day operations, scheduling, billing and receivables, communications and much more from a central location or from each location. Automatically schedule your family billing and save valuable time and costly errors. DayCare Works™ takes care of the rest including things like automating adjustments for vacation time and family discounts. 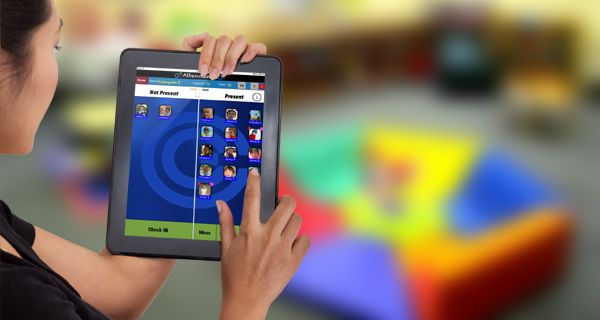 Check In/Out via DayCare Works™ InSite Select and InSite Provider applications available for Android, Apple and Microsoft tablets. DayCare Works™ can easily interface with your other business systems including CRM, payroll, e-marketing and accounting systems. Add the DayCare Works™ Connect Edition and extend important time saving and convenient communication tools to your families, staff and third party providers. Provide families with a customized enrollment process. You control the text that is displayed and the required information for registration. Offer your families the convenience of a family portal to include parents in their child’s progress. Parents can easily connect with you to view their family account information and submit updates to their records. Automatically generate billing statements that parents can view and pay online using their credit card, debit card or checking account. Families can view payment history and print their invoices including year-end and flexible spending account statements. And if they need a reminder, DayCare Works™ can automatically generate and deliver reminders. Easy-to-use features help you to customize and organize your calendars. Add daily activities, special events, lunch menus and more. Then share with parents and print calendars for your classrooms. Communications are a key component of running a quality program. DayCare Works™ provides your staff and parents with a secure and convenient way to communicate. Post updates to calendars, scrapbooks and important reminders or announcements. Parents can update schedule changes and vacation requests allowing you to adjust your rooms and staffing more proactively. Give your third party providers secure access to manage their class or program including classroom rosters, student-staff ratios, emergency cards and directories. DayCare Works™ is the single best investment for your childcare company! To learn more and to get a personalized demo of any of our products, contact us today. Cirrus Group LLC takes our mission seriously. We are here to build the best solutions, so you can focus on providing great programs and enriching the lives of individuals and families in the communities you serve. That is why you can count on us for proven performance for every solution we provide. Protecting your data is our top priority. Our platforms use hardened security standards like strong data encryption, individual account and password authentications, role-based security authorization and complete change control auditing. We maintain multiple hosting facilities to keep your site available 24/7/365. Our state of the art SOC certified hosting facilities operate with multiple redundant internet connections, power backup and system failover capabilities ensuring maximum uptime. You can easily create as many administration users as you need without any additional cost, and grant each user access to just the right information they need to do their job. 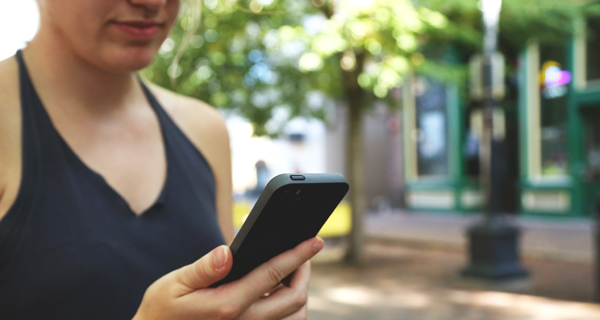 Take your program management, center operations and customer interactions to the next level with our easy to use apps, available for Android and iPhone/iPad. At Cirrus Group LLC, we believe that continually improving our software means increased value and happy customers. All regular platform upgrades are provided automatically, without additional fees or lengthy software deployment cycles. We are committed to maintaining a superior level of customer support and service. All solutions come with comprehensive help documentation, training videos, customized web training and access to our full featured support portal. Our platforms support an open integration and a proven reliability for connecting many external information systems like CRM, ERP, financial, human resource, LDAP directory, payroll and student information systems. During our standard business, we are available for live chat. Click now to request to speak with us.